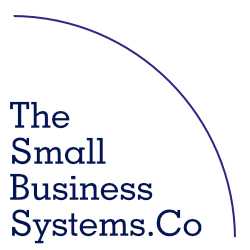 If your organization is like most small- to medium-sized businesses where you don’t have the budget or full-time need for an in-house webmaster? Are you frustrated with trying to keep up with the rapidly changing technological, content, and blogging requirements of your online presence? Leave the heavy lifting to me as your site’s webmaster. We learn your website inside and out, and do as little or as much work as you need or I can work with, train one of your own employee’s, and document the task procedures they’ll need to take charge of. If came here looking for content and you see this don’t let that deter your curiosity. Just head on over to my contact page and fill out the form to send me an Email and I’ll get back to you ASAP or you can also click on the phone number above to give me a call 8:00am to 5:30pm EST too. 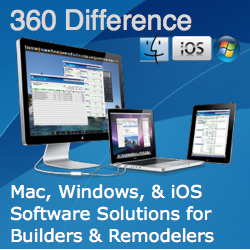 I just set up this website this spring and I’m busy working on client projects and a new FileMaker Database product I’ll be releasing this summer so I only get to work over here when I have some free extra time. 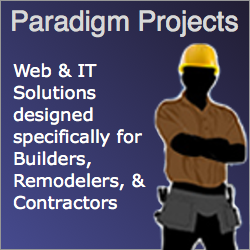 I contract, design, build and even host responsive database business applications for Contractors Builders and Remodelers as part of ParadigmProjects.com and for other small businesses as part of TheSmallBusinessSystems.com.